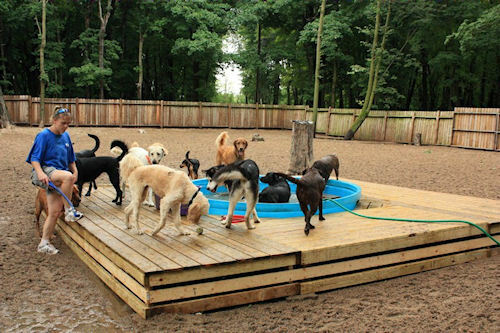 DogPad Day Care is like NO Other! DogPad will come to your house, pick up your dog(s) with the bus and bring them to DogPad for a day of play. The dogs get to play in an open play yard all day under supervision. Have access to plenty of water to drink, a large swimming pool in the warm months and balls to play with. There are several breaks during the day where the clients come inside to rest and relax and get a treat. Toward the end of the play day, any client that got a little dirty, gets a quick bath. At around 3:30, the doggies get on the bus to be taken home to sleep on their own pillows :) Their day is spent socializing with other friendly and fun dogs where they expend energy and enjoy the day. Spring Break is approaching Fast! Is your K-9 kid depressed with the kids back in school? Busy shuffling kids to activities after school and there is no time to take your furry kid for a walk? Send them to Dog Pad for a day of play. All Dog Pad Dogs are guaranteed to be exhausted after a day of play. Do your family friend a favor and book them a day of play and exercise at the Dog Pad. Even if you do go on a few walks with your dog each week, it doesn't compare to the exercise your pet will get while running around a wide open play area with other K9 pals for a day. Your best bud will be able to wrestle, run, swim or just hang out with other dogs and have fun along with getting valuable socialization experience and release his/her pent up agressions. Your family companion will be relaxed and his anxieties will be gone at the end of the day making for a happier Dog! 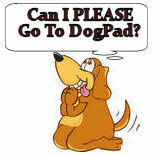 Dog Pad Customers that have a Keypad for Garage Door. Please check the batteries and make sure that Dogpad has the correct code and that it isn't frozen. With the cold weather this will allow us to quickly get in and get your canine kid on the Dog Pad Bus. If your school district is closed due to snow, then the Daycare bus will not be running in your city. Book your canine kid a day of play on these cold winter days when you aren't up for going outside. 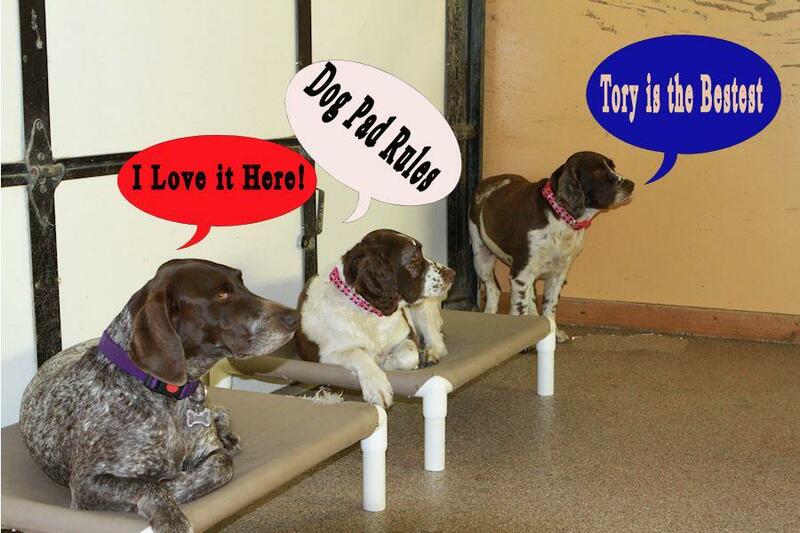 Remember Dog Pad has a large fenced in play yard, so your pet can run and play with other dogs and have fun. Dog Pad Daycare is great for busy days running the kids around to different activities. Dog Pad Daycare is hassle free, you call or email to schedule and we pick up your family member and drop them off. Let your canine kid have a day of play also and stay in shape over the winter months. 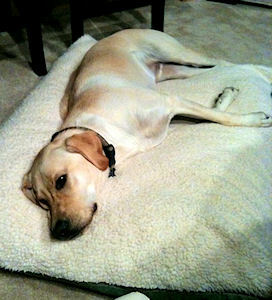 Dog Pad provides baths for your K9 buddy after a day of play, before he is dropped off. 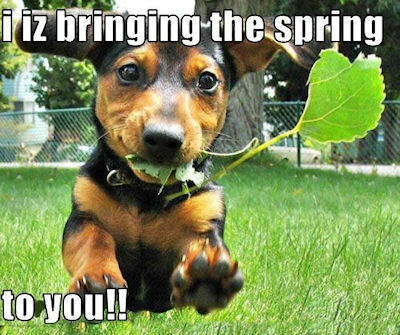 Remember: Free pick-up and Delivery for all Daycare Dogs!! Remember: Please take Fido out to go Poty before the Dog Pad Bus arrives!! When the temperature gets really cold, the dogs spend more time inside and only go outside for 15-20 minute increments. They come inside to warm up and play. Protect your Pet this Year! The fleas and Ticks are out already along with the mosquitos. Talk to your vet to make sure you have the proper preventative medication so your favorite family member can stay healthy. Fleas are transmittable to other dogs so please make sure you have the proper medication so your dog doesn't spread them to others. Mosquitos are the main carrier for the Heartworm parasite (the roundworm Dirofilaria immitis). Ticks, Deer tick to be more specific is the main carrier for Lymes disease. 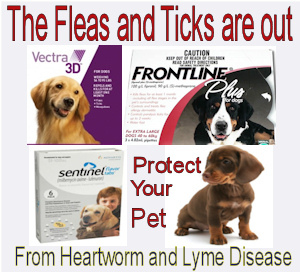 Please see to it that your dog is protected with such medications as Sentinel for heartworm and Frontline plus or Vectra 3D for the flea and tick plus mosquito prevention. Busy Days leaving your companion at home? Dog Pad features over 35,000 square feet of cageless indoor and outdoor play areas for doggy customers, a carpeted loft area with Dog Cots for relaxing and massages, and free baths upon check-out. Meet "Bucky", one of the Dog Pads Clients after being dropped off. Bucky's owner said,"I thought you would get a kick out seeing the effect Doggy daycare has on my spaz of a lab. This picture was taken last night after he was dropped off. Looks like he had a great time. Thanks for taking care of my pooch when I can�t. 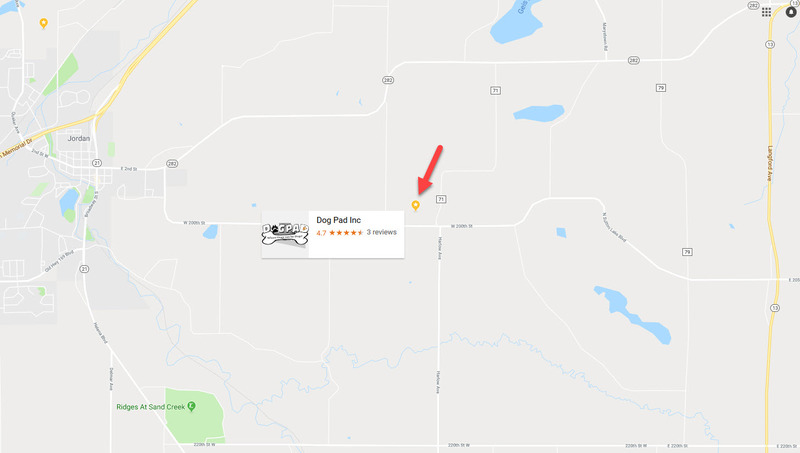 Dog Pad owner, Tory Kretsch, provides free pickup and delivery service for her doggy daycare clients that live in the southwest metro, south of the river. Says client owner, "My dog Riley 'watches' for Tory in the morning-I still can't believe he gets picked up and dropped off every day. What a wonderful service!" Dogs must be fully vaccinated. Over 35,000 square feet of cageless indoor and outdoor play areas. Dog Pad will provide baths for your pooch if they are dirty. Fido will be clean and tired when he gets back home on the bus.